Independence Financial Advisors is pleased to announce the promotion of Paul W. Gatehouse to Senior Vice President and Luca A. D’italia to Assistant Vice President. Gatehouse has been with IFA since 2003 and holds over 25 years of experience assisting clients with developing financial plans and managing their investment needs. Based at our Rochester office, he has a B.S. in communication and media studies from Michigan State University. 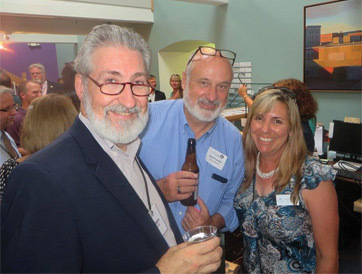 A resident of New Hampton, Gatehouse is a member of the executive and investment committee for Gordon-Nash Library and serves on the board of directors for the Rochester Chamber of Commerce. D’italia joined IFA in 2015 as an Investment Advisor. In his new role, he will continue to meet with clients to help them create a financial plan, assist with managing investment portfolios, as well as conduct research and analysis of investment options. D’italia is a Certified Financial Planner™ awarded to him from the Certified Financial Planner Board of Standards, Inc., and holds a B.S. in economics from Keene State College. Since 1995, Independence Financial Advisors, LLC has assisted clients with developing and managing their wealth management strategies. A wholly-owned subsidiary of Franklin Savings Bank, IFA’s advisory team has over 200 years of combined experience helping individuals, families, businesses and non-profit organizations achieve their financial goals. In addition, we have formed partnerships with recognized experts in tax law, estate law, accounting, insurance and investment resources, offering an unbeatable team of highly qualified professionals to provide guidance and assistance throughout all stages of life. 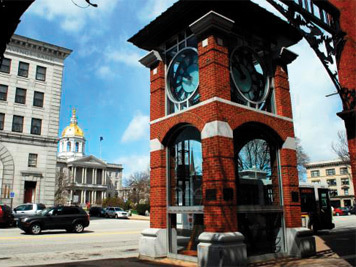 IFA has offices in Bedford, Boscawen, Bristol, Franklin, Gilford, Merrimack, and Rochester. To learn more about Independence Financial Advisors, visit www.ifa-nh.com or call 1.800.821.1776.